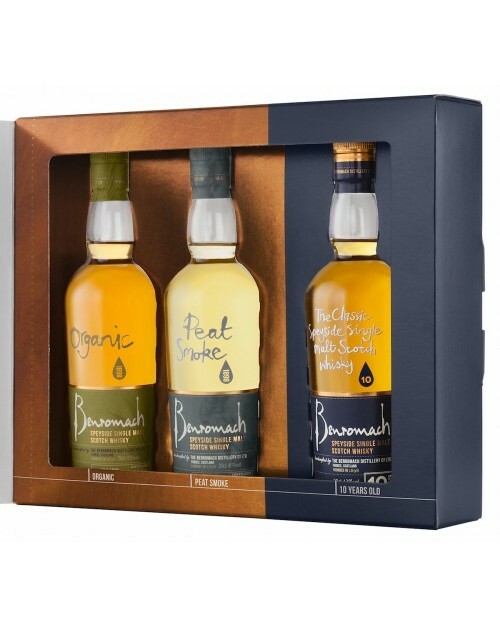 Benromach Three Bottle Whisky Gift Pack features the following single malt whiskies; Benromach 10 year old, Benromach Organic single malt whisky and a Benromach Peat Smoke whisky. A lovely diverse selection which will appeal to most palates. The whiskies come in a very nice presentation box. These bottles are each 20cl capacity.